It’s been a while since I wrote. I guess I keep saying that. But oh well, here we are again. Anyway, this post is going to be about Spain. A week ago, I was in Madrid (Or rather, when I started writing this post it was a week ago). And that was fun. Let’s list the fun stuff. 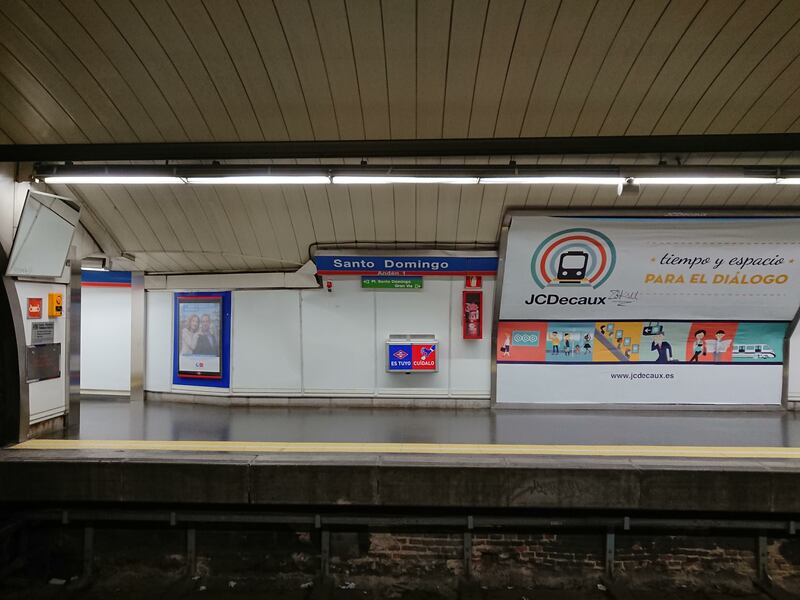 The first thing that hit me when we landed in Madrid (after the air conditioning) was the heat. And then how normal it seemed. I am sorry but I am one of those people who have always thought the West is this amazing place that has another kind of look and feel that is nowhere near Africa. Like maybe it is full of the bright HD computer generated scenery we see on TV. For starters, the air was the same air. And I was still the same person. LOL. Ushamba nayo? Madrid was haaaat. Super hot. 40 degrees hot when I checked. Our flight there was not my favourite in my short experience flying. EgyptAir. 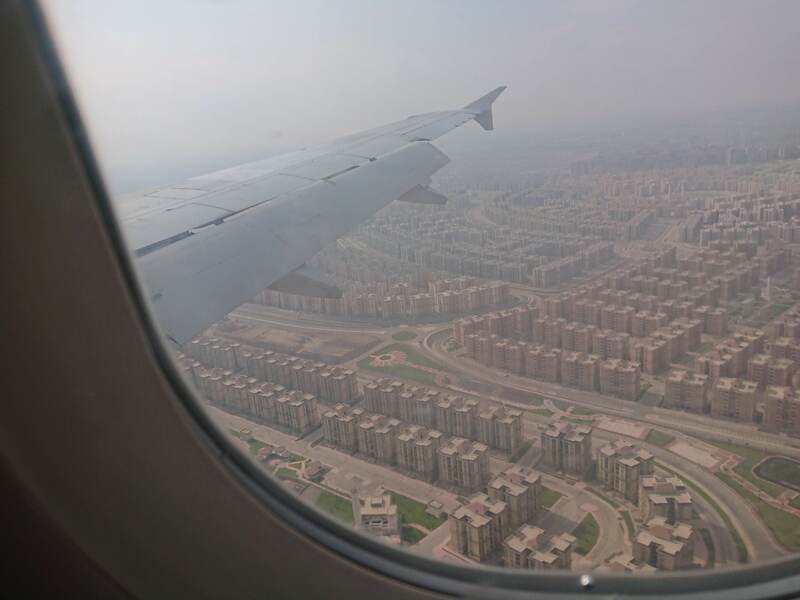 The only thing I really loved from that was the layover in Cairo, not because it was a superb airport or anything but because the view of Cairo from above the amazing. It’s like they live in these many organized box-like estates that look like symmetrical cuboids from above. When you land in Madrid and get to customs, they don’t even ask many stories. Passport, stamp, welcome. Everything was planned out for us by our lovely colleague when we got there. The driver could speak English. He drove like a Kenyan though, going way faster than the speed limit signs. We got to Santo Domingo at about 5 on Sunday. The apartment was lovely! Definitely straight out of what I see on TV and what I want mine to look like. All I wanted to do was sleep. The last time I had slept was Saturday morning at 8AM. Everyone else went out. Yeah, I am the not-fun one. LOL. So I don’t really have much to say about that day. Oh, apart from the fact that when I woke up to have dinner at around 10pm, the sun was just setting. I was so excited when I saw this just outside the apartment! The next day was Metro day! I am very excited about the Metro and you will see why shortly. It saved my life. I am picking this post up many weeks later, because everyone will keep wondering why I said I will blog and I didn’t. The reason I decided to pick it up is my aunts who were all like “Urandeheire ki wathii Dubai? !” :joy: I swear my aunts will kill me with jokes one day. Seriously. How did I end up in Dubai? I bet that’s where everyone goes nowadays. Before I tell you the Metro story. Some titbits. The coffee comes in these little pods that you pop into these coffee makers I have never seen that mix it up really well and give you a cuppa. I took A WHOLE LOT of coffee here because of this. The sockets are the two prong thingies, EU standard. Something else I did not know. I got the message from a colleague about it just when I was at JKIA, so I ended up buying an adapter that cost me an arm and a leg, but needless to say, it has saved everyone and their mother in these EU countries. Slight exaggeration, but let’s go with it. The statues and monuments in Madrid are to die for. From Puerta de Alcala at the independence square that we walked past everyday, to all the ones we took pictures of during a scavenger hunt, the history here is rich. Even the architecture says it all. The doors, the paintings, the museums, the different entities celebrating centenary milestones. The buildings we spent the day in had this ancient lift, you know, the kind made of wood and glass and a metallic door that you close first before starting your ascent or descent. Cars here stop for you, not the other way round. I remember a lot of us Africans trying to run across the road even at a zebra crossing, even though the lights had turned green for pedestrians. Even on the smaller lanes without lights, drivers simply stop, even when you’re not on the tarmac yet. The parks. Oh my. Beautiful and free. And green. And expansive. Apparently, this is possible because people here are taxed bigtime. And all these taxes get ploughed back into the system for the good of everyone. There were black guys everywhere hawking bags, sunglasses and stuff like that on the sidewalks. :O That surprised me, but I did not ask too many questions. I just assumed there are those guys we hear about who survive near-drowning on the strait of Gibraltar. Sad. I did not like Spanish food. Period. Thank you. Or maybe I need to give you a reason… Let me think if I should. Well, for starters, paellas. My goodness. The closest thing I found to flavour is one that had beans inside. But this was still a far-cry from pilau, for instance. Then they have many versions of this paella dish, including black paella which acquires its colour from squid ink. Squid ink, ladies and gentlemen! Lots of seafood. Lots of food I do not like, generally. Eventually, I had to put something I did not like in my mouth. I ate a clam. Bleugh. So in the end, we had a lot of Subway (lol) and other un-Spanish joints. You can bet I did not eat this. I tried the one with the normal colours. Apparently, to get in here, you pay 30 EUR. PDA. The amount of PDA in this city, ladies and gentlemen. I just can’t. And now it’s Metro time! So the Metro is the subway train that criss-crosses the city. It has very elaborate maps and in some stations, you can connect to other trains without getting out of the station. It works like clockwork. Very elaborate signs and announcements, albeit it Spanish but somehow you find your way after a while. So one night, me and my girl are walking from Primark. This store is literally up the same street our apartment is on. We walk down another cobbled street to find a pharmacy, because she needs painkillers. Then we begin to walk back up and get derailed by this songbird who is singing so beautifully on the other side of the street. Up ahead, we find a souvenir shop and walk in. Lots of souvenir shops around here. I want to get a snow globe of Madrid but I’m like, no, let me check out another shop. So we keep walking. We eventually get into another shop and I get my snow globe. I think this is when it happens. We take a wrong turn or the street morphs into something else. But if we’re being honest, I think the former happens. So we’re walking and suddenly I feel we’ve been walking for too long. It takes me a loooong time to admit we’re lost. Utterly and completely lost. And, even though we have been here for days, none of us has a SIM card for data/calls or Wi-Fi, so no, no Google Maps. So first reflex tells me I can turn in a certain direction and home will be right around the corner. I am wrong. Also, this is not an English-speaking country so asking anyone will not help much. I get the bright idea to immediately run towards any Metro station we see and find our way from there. My girl does not think that’s a good idea. She thinks we should take a taxi. We cross the street and try to tell one of the drivers to drive us there, but he keeps pointing and saying something we think means it is just around the corner. By now, I am laughing and feeling stupid at the same time. My girl says we should just go back further and maybe then, a taxi driver will accept to take us home. Looool! I am telling you people malfunction when they are lost. By now we’re desperate and have been going round for maybe 30 minutes. She is in pain. I am still being a bit nonchalant about it because I cannot believe we’re lost going around in circles. So you will never guess how we find our way back. I finally convince her to follow me down to the station. She has a card, but it’s maxed out. So I spend a whole 12 Euro for 10 trips because buying fewer trips is just expensive for no reason. Which makes no sense because we’ll be leaving in like a day or so but oh well. Now, we swipe ourselves inside this station. Looking at the maps and signs, none shows Santo Domingo, but we see a station we’ve been going through severally on our way back and forth. We’ll get there and find our way home. It’s almost midnight at this point but I am still putting on a straight face for the sake of my girl. We get to Sol. This, in my newbie brain, is like the mother of interchanges, with different arms going to different parts of the city. We walk through tunnels and escalators and then I am like, girl, wait here, let me run around and get you when I find the one that goes to Santo Domingo. By now, I am so full of I-can’t-believe-we’re-still-lost energy that I am running up stairs instead of getting back on the escalators. Clearly, I found the train, otherwise I would not be in my warm bed in Muthiga writing this, or anywhere else for that matter. 😀 I was so elated, this time, I actually got on the escalators back down to find my girl. And then I emerged on the other side of the railway because I was clearly still directionless. My girl was so depressed but I was still laughing the whole time, telling her these were stories we would tell our grandkids. And then we finally got to Santo Domingo, where we were also lost on what exit would not lose us again, but a guard helped us get back to the right exit. When I got to the apartment, I could not stop laughing, trying to share this story with my other girl. Man, that whole thing was stupid. I laughed at myself in the shower and I laughed myself to sleep. And just so you know, we got lost with a Madrid local leading us, on some other night because Madrid is truly a maze, even for them. So maybe we were not that stupid. Or I am just consoling myself. One thing you can be sure of is this: I will never get lost in Madrid again. How can a local get lost? Squid ink…sounds interesting. Apart from PDA, the city seems dull. Kwani there was no carnival with Spanish chicks dancing to things like despacito e.t.c? And how come you didn’t at least go to the Barnabeu? Your descriptions are quite alive. And any Spaniard who asks ‘Who’s Messi?’ is not to be taken seriously. That one is likely to make you get lost in the maze that’s Madrid. Great piece.